Much of what makes Crown Center a special place for residents and community members is only possible because of our generous donors and volunteers. Thank you for helping us fulfill our mission daily. 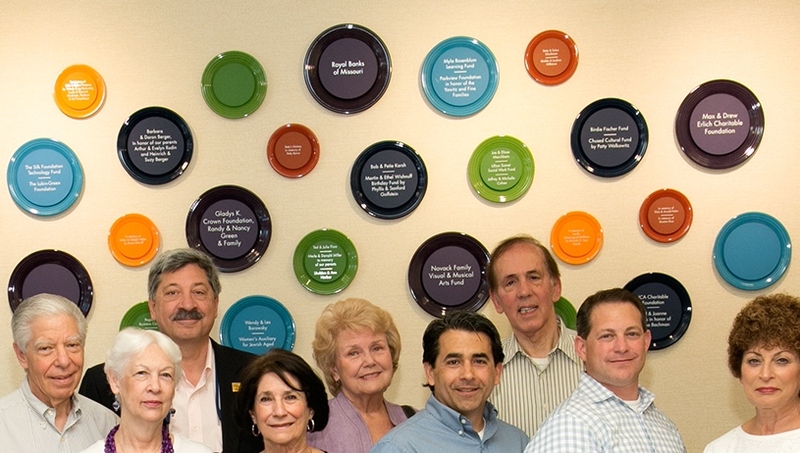 A charitable donation to Crown Center directly benefits older adults in our local community. Your contribution allows us to provide affordable high quality housing and important services to people with extremely limited financial resources. More than just an apartment building, it is the vital services and programs Crown offers that ensure a life of dignity. Your gift is used to provide supportive counseling, transportation, nutritional dining, exercise, health screenings, educational programs and group activities to all, regardless of their ability to pay. A substantial portion of Crown Center residents must live on extremely low incomes, under $14,000 per year. Often faced with difficult choices about how to best spend their limited dollars, your gift allows us to help them to successfully manage these challenges. Our goal as a non-profit 501(c)3 agency is to assist older adults in maintaining an independent lifestyle. Your charitable gift to Crown Center is greatly appreciated. Please contact Nikki Goldstein, Executive Director, 314 991 2055 or give@crowncenterstl.org for more information. Please make checks payable to Crown Center for Senior Living and mail to 8350 Delcrest Drive, St. Louis, MO 63124. An acknowledgment letter that may be used for your tax purposes will be mailed to you. Crown Center accepts Master Card, Visa and Discover. To make a credit card gift, call the office during regular business hours or donate online any time. Call Crown Center at 314-991-2055..
A tribute to the Crown Center Tribute Fund is a wonderful way to honor a family member or friend, recognize a special occasion, or express sympathy or congratulations by making a charitable donation. A card for this will be sent in your name to whomever you designate. You can set up a tribute account with a minimum of $100 where you can contact us with the recipient information and we will send the tribute on your behalf. To set up a tribute account, please contact Tonya Stock at 314 991 2055 or give@crowncenterstl.org. Crown Center may have options for eligible donors to benefit from reduced State of Missouri tax liability through a Missouri State Tax Credit Program. Please contact Nikki Goldstein at 314-991-2055 for more information. A planned gift to Crown Center is your legacy that continues your commitment to enhancing the lives of older adults. To discuss your interest, please contact Nikki Goldstein at 314-991-2055. Volunteers are crucial to Crown Center’s success. They make all the difference by assisting with programs, technology tutoring, the cafe, dining room, delivering meals, sharing a skill, teaching a class, or in the library. Your time and interaction with residents is greatly valued, and is a meaningful contribution. Individuals and groups who are interested in exploring volunteer opportunities are asked to call us at 314-991-2055 or email give@crowncenterstl.org. We are looking for volunteers for the Circle@Crown Café and Dining Room. We offer on the job training, a great environment and a chance contribute. Please contact our Volunteer Coordinator, Laura Greenberg for more information about this opportunity at 314-991-2055 or lgreenberg@crowncenterstl.org.